When it comes to eating out gluten-free, one of the worst experiences I've ever had occurred last Christmas when a trip to Cooper's Hawk Winery and Restaurant on International Drive in Orlando turned into a total disaster. What promised to be a festive meal with my family soured as I quickly lost faith that I could eat safely there. This Christmas, I was determined to find a restaurant that would allow my family to try something new and simply enjoy being together on the holiday. After consideration and extensive research, I suggested Tapa Toro on International Drive for it's extensive menu which featured both gluten-free items and those that would appeal to my gluten-eating family. While we all were excited about the opportunity to check Tapa Toro out, the restaurant proved to be a wonderful Christmas surprise for us all. Inspired by authentic Spanish cuisine, Tapa Toro's menu offers a dazzling array of dishes ranging in size from tapas portions to massive paellas that serve three to four people. The structuring of the menu is cool for foodies and groups because dishes can be shared around the table. The menu is labeled to alert gluten-free and vegetarian options (to see menu click here). 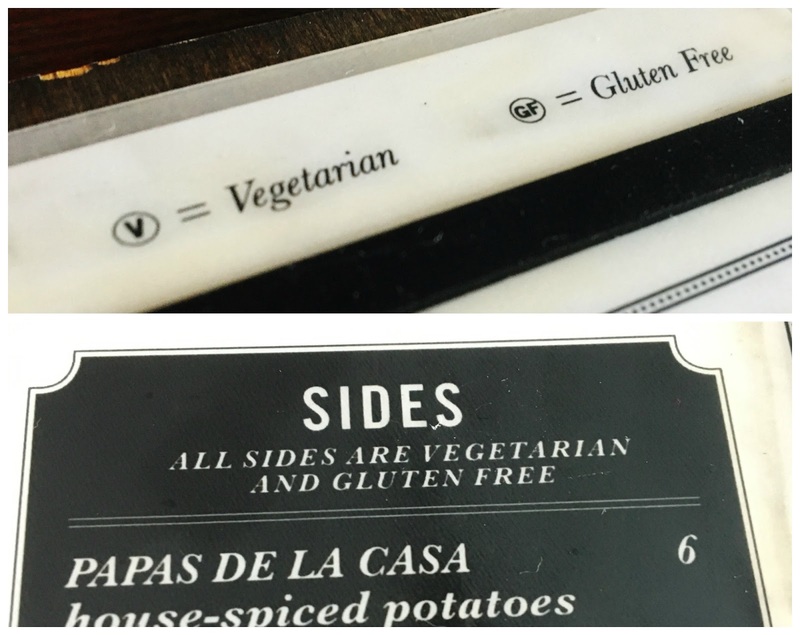 I was impressed with the representation of gluten-free dishes on the menu, as the populate every category. A feature focal point of the restaurant is the massive paella pit on which the signature paellas are cooked to order. All of the paellas are gluten-free, which eliminates potential cross contamination of paella pans. Those who want a culinary show should request the coveted seats around the open pit and kitchen area. For a smaller starter tapas, I ordered the ensalada de tomates, which featured arugula, shallots, shaved fennel, tomatoes, radishes and a sherry dressing. I loved the fresh flavors of the vegetables, especially the summer tomatoes, and lightness of the dish which makes it an excellent starter before more heavy fare. The portioning was bigger than I had expected, and the salad definitely memorable, as I am normally not a salad-lover. For my main dish, I ordered the paella de vegetal, the vegetarian version of the paella which is gluten and dairy-free naturally. From the very first bite I loved the creaminess of the dish, which resulted from the perfect cooking of the assorted vegetables of the dish and the incredible texture of the calasparra rice, which is the Spanish equivalent of creamy risotto rice. The dish's flavors melded together and were accentuated with saffron. The portioning, as with the salad, was large, but I relished each and every bite of the dish. I really loved the dish and would definitely order it again. My parents ordered the seafood paella, which comes stuffed with clams, shrimp, mussels, shrimp, calamari, and assorted vegetables. My whole family marveled at the size of the massive paella served steaming hot in the pan used to cook it, and both of my parents were impressed with the dish's rich flavoring. Because it is gluten and dairy-free, I sampled a bit of the rice and it really was delicious, but did not have more than a small sampling because I was stuffed from my paella. Overall I was quite impressed with Tapa Toro. Because of the similar cuisines, it is easy to compare it to the Columbia Restaurant, the historic Spanish restaurant with locations across the state that I really love (see that review here). Tapa Toro not only is on par with Columbia Restaurant, but gives them a run for their money with my parents and I in agreement that the Tapa Toro's paellas just might edge out their competitor. With a location at I-Drive 360, home of the Orlando Eye, Madame Tussauds, and other attractions, Tapa Toro is a good bet for locals and tourists alike. It's easy to dismiss International Drive as a tourist trap but Tapa Toro definitely defied my expectations.